From Florence, we drove to Pisa which was about an hour away. We made it just in time for sunset at the Leaning Tower of Pisa, located in the Piazza del Duomo, a UNESCO World Heritage Site. We climbed up close to 300 steps to the top of the tower. 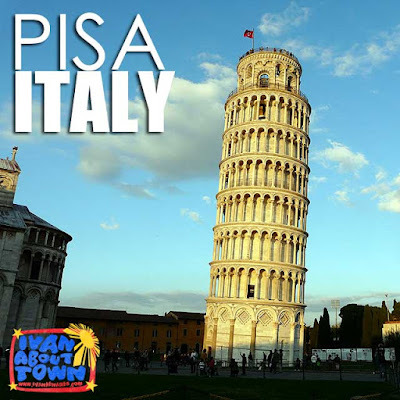 Here are photos of Pisa, Italy in the Ivan About Town Facebook page.